This is it! The final three teams will find out if they will rewrite their Amazing Race Philippines history and take care of their unfinished business as they fly to their Final Destination, Cagayan! 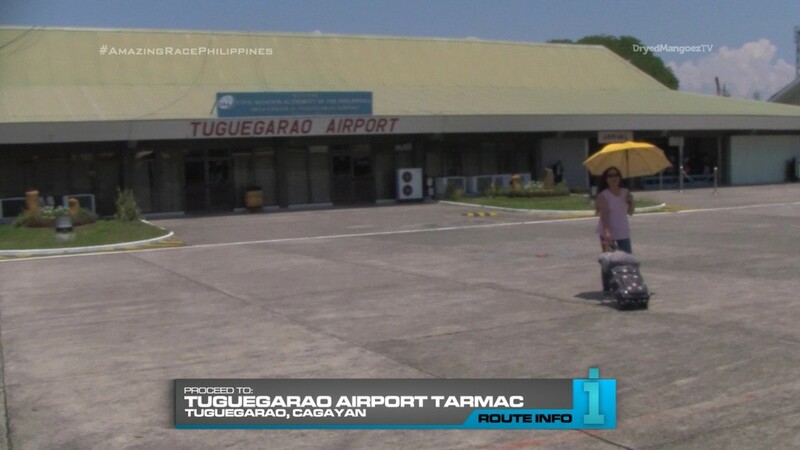 Teams will fly from Bangkok to Manila and be shuttled to a charter flight to Cagayan’s capital and the (literally) hottest city in the country, Tuguegarao. 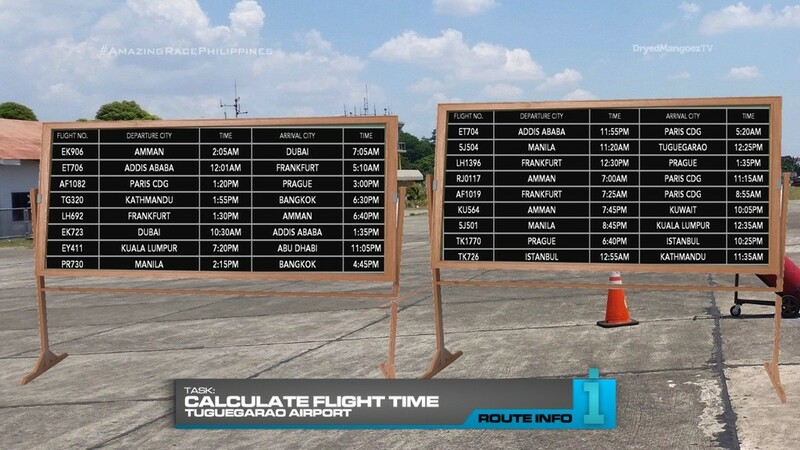 Teams will find their next clue on the tarmac of Tuguegarao Airport and their first task of the Final Leg. Teams have been on many flights this Race, racked up plenty of frequent flier miles and spent a lot of time in the sky. For this task, teams will need to figure out exactly how much time that is. 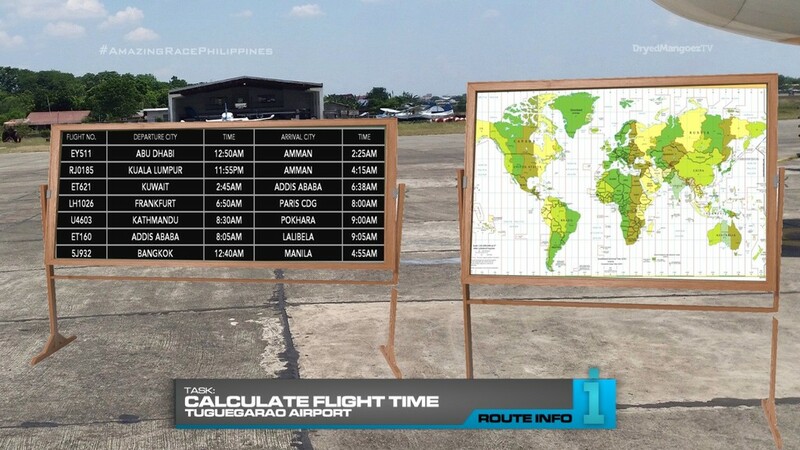 Using provided flight schedules and a time zone map to convert local times, teams must calculate the duration of each flight they would need to reach the cities they’ve visited (by plane) on this Race. Once they’ve correctly totaled those flight times, they will receive the next clue. 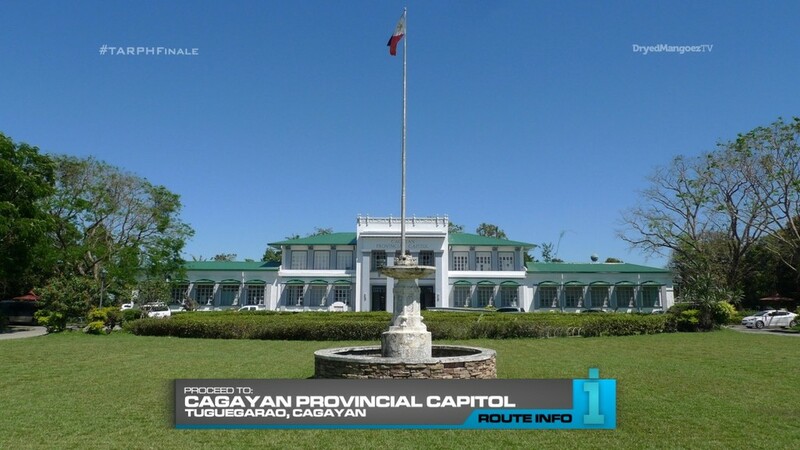 Teams must now travel by tricycle to the Cagayan Provincial Capitol building where they will pick up a sealed envelope and their next clue. Tuguegarao is a quickly growing city with multiple large developments springing up around the area. The heat and the always busy streets make for an already bustling urban center in the midst of vast farmland. 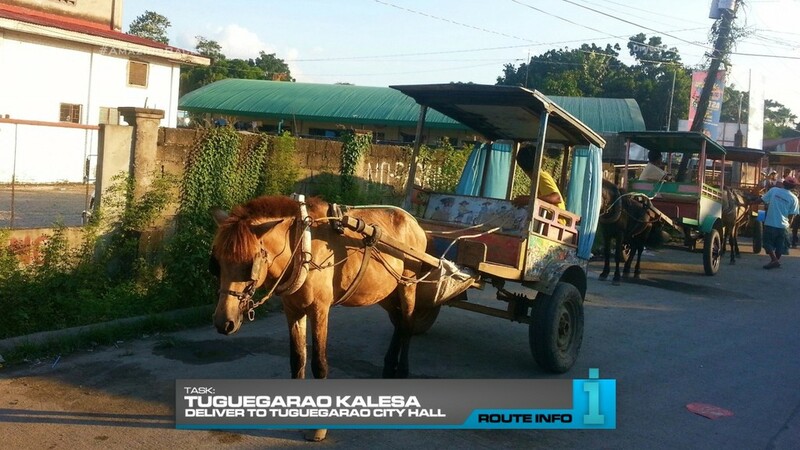 And on those roads, alongside modern cars and classic tricycles and jeepneys are the traditional Philippine kalesa. 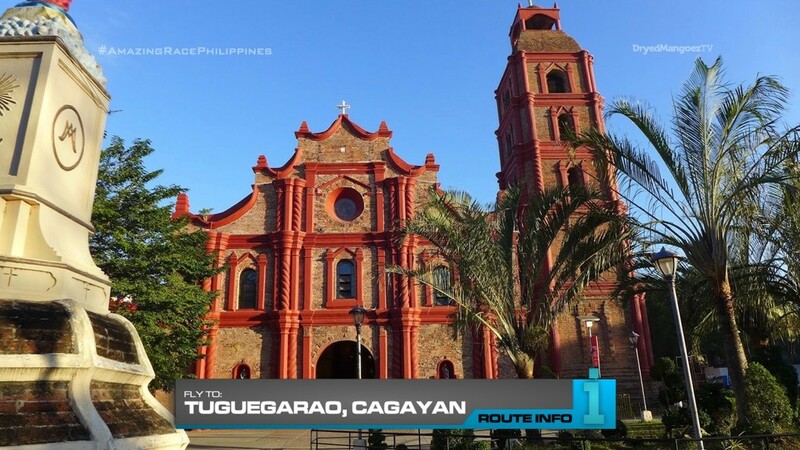 For this task, teams must finish assembling one of the Tuguegarao kalesas and pull it down Enrile Avenue to Tuguegarao City Hall where they will exchange it for their next clue. 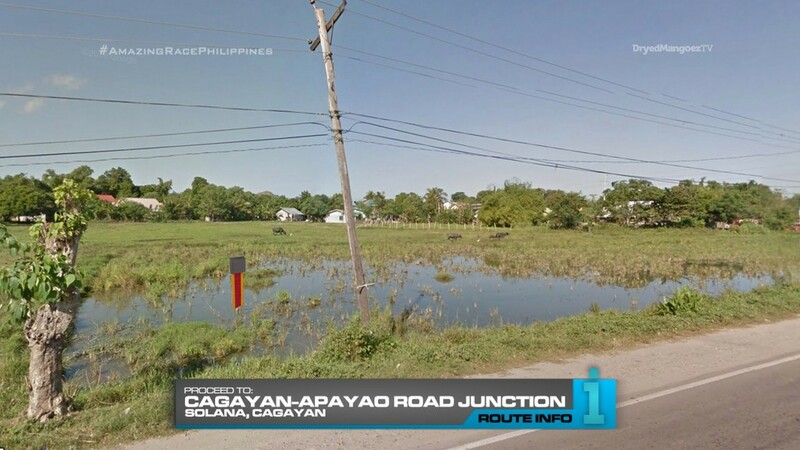 That clue tells teams to look for a flagged field near the Cagayan-Apayao Road junction in Solana. 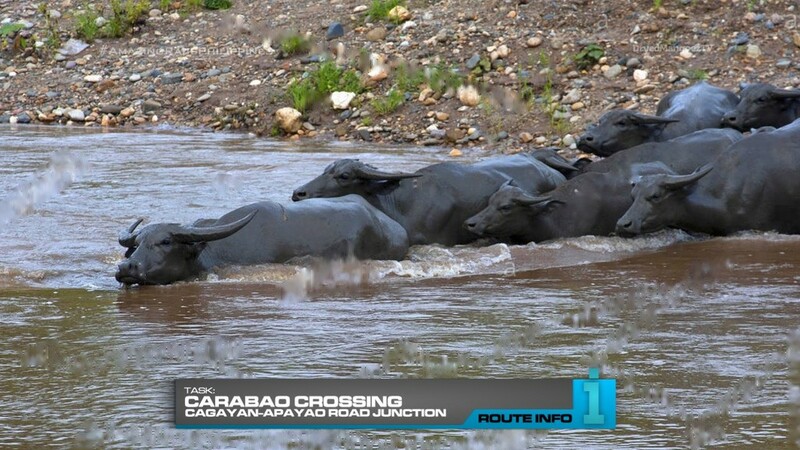 Here, teams must choose five carabao and safely cross them from a small watering hole to a nearby field for grazing in order to receive their next clue. 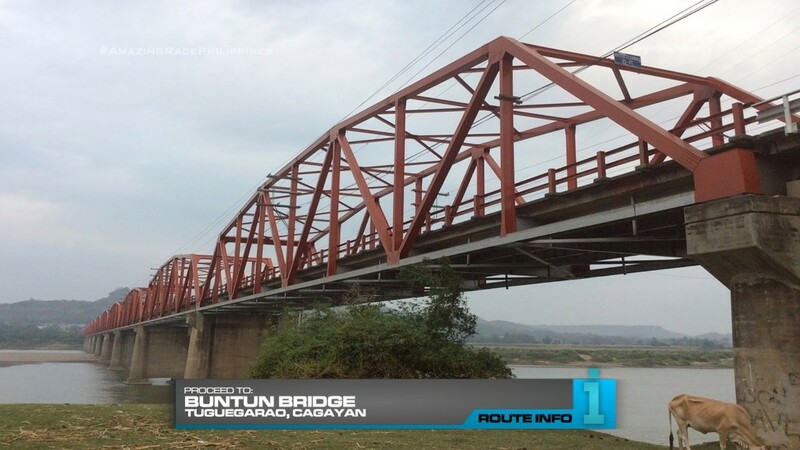 For this Double Road Block, teams will relive their time on the Race and must recall certain tasks and Route Markers in order to fill a large gameboard hanging from Buntun Bridge. The gameboard has 10 slots marked with symbols for either a Route Info, Detour or Road Block. The team member who will remain Down Low will travel by boat to an island under Buntun Bridge and in the middle of the Cagayan River where they must search amongst 154 clueboxes for 10 pictures from the previous 11 Legs that will fulfill 10 requirements/descriptions of Route Markers (contained in the folder they received at the capitol). Teams will see that two slots must be filled with a Detour task, five must be Route Info Tasks and three must be Road Blocks. There can only be one task used from each Leg and with only ten slots, one Leg will not be represented on the gameboard. 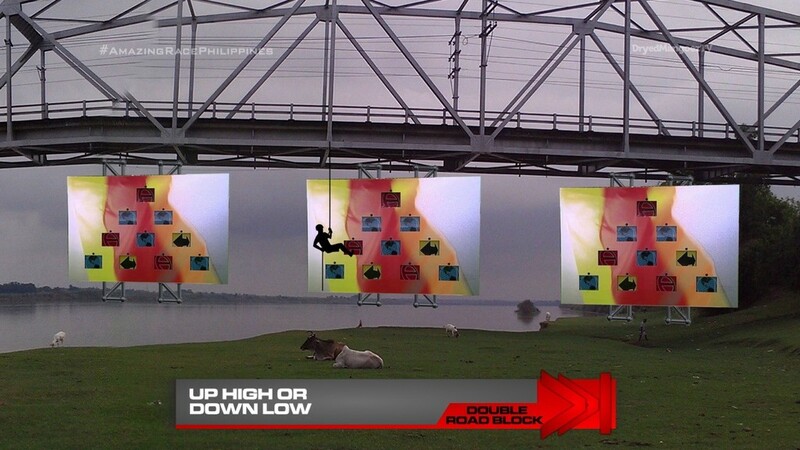 The team member who will be Up High must rappel down from the Buntun Bridge roadway, receive each picture from their teammate and climb back up to the gameboard to place them into the slots. There is no task used from Leg 10. Teams may fill in the gameboard in any order they choose. But they can only retrieve one picture at a time. Once a correct picture has been placed on the board, a green light will appear under that slot. Once all ten lights have been lit green, teams will be given their next clue. 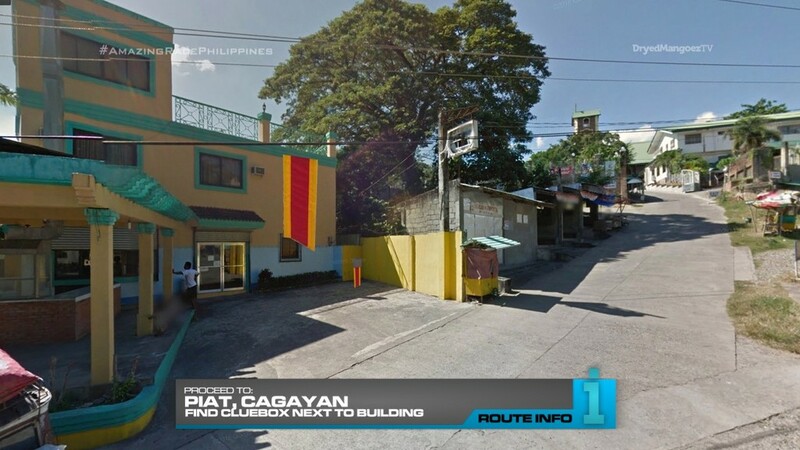 That clue tells teams to choose a marked Kia K2700 flatbed truck which they must direct to the town of Piat where they must find this flagged building in the vicinity of Our Lady of Piat. 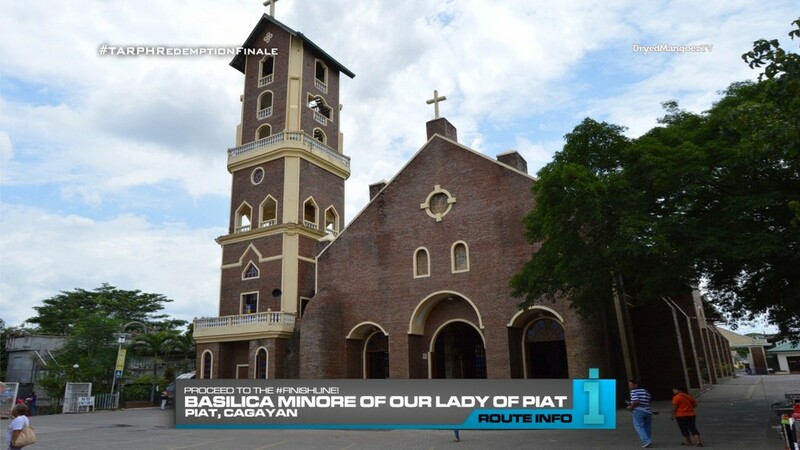 The cluebox found here will tell teams that they can now run up the hill to Basilica Minore of Our of Lady of Piat, the Finish Line! But the biggest prize of all is: REDEMPTION! WOOHOO!!!!!!!!!!!!!!!!!!!!!!!!!!!!! Our family usually crosses the Buntun Bridge on our way to either Tabuk, Kalinga or Our of Lady of Piat. 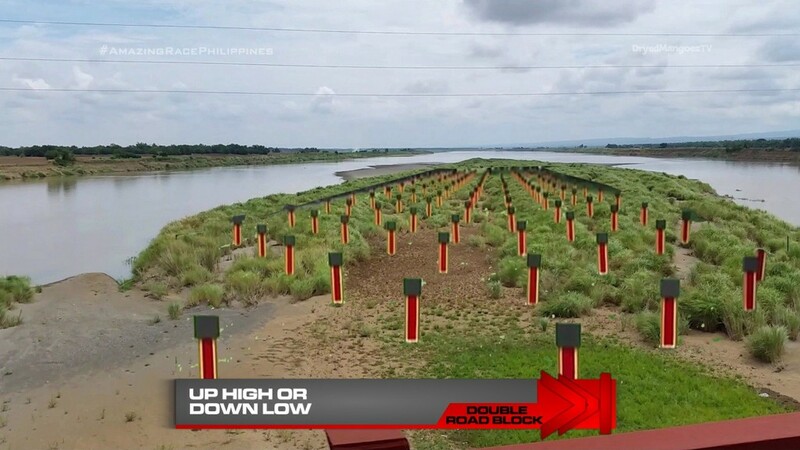 And the little swath of land in the middle of the Cagayan River always reminded me of TAR13’s Final memory Task with that field of clueboxes. I thought this would be a perfect location for such a task. Anyway, let’s rewind to the start of the Leg first. Admittedly, there didn’t seem to be much else to do in Tuguegarao that hadn’t already been done in TARPHDM1. Or at least, things to do within a reasonable distance and for a finale. There are plenty of interesting locations and possible tasks in nearby Iguig or Penablanca (Hello Callao Caves!). 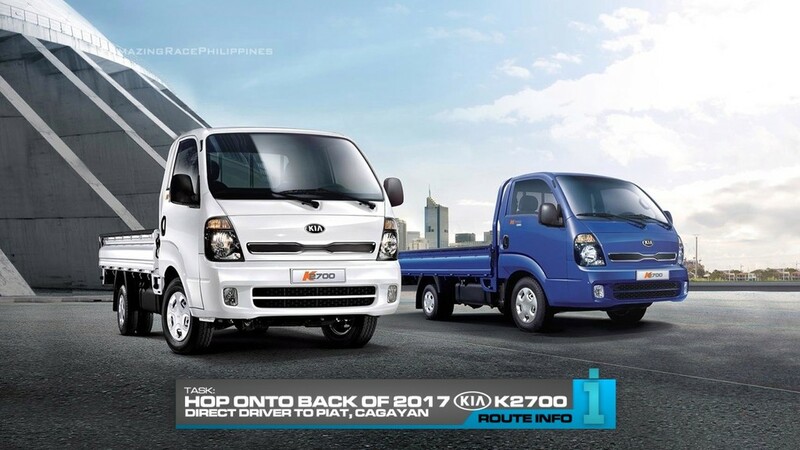 But with the horrible traffic of Tuguegarao? 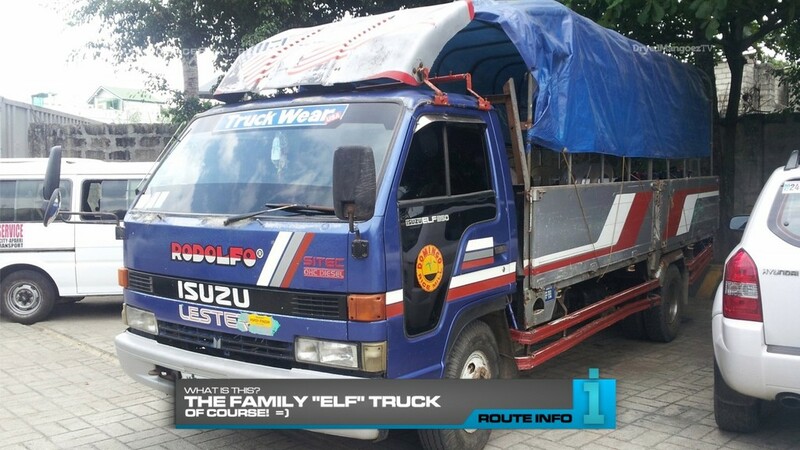 It would likely be a logistical clusterfrak and end up a horrible Final Leg. In thinking about extra tasks this Leg, I though a task right at the airport would be interesting. I immediately remembered TAR Canada 3’s airport tarmac task, so I took it and stole it and made it much better here. lol Instead of providing GMT conversions, why not just give teams a simple time zone map and let them figure that out themselves. Teams needing to find the cities on the map and then trying to calculate the time differences and whatnot. Additionally, this would either be an AMAZING, dramatic task or a complete flop that is over and done with in 2 TV minutes. Hopefully it’s the former. Hehe. Also, I’m not sure if I should forbid teams from helping each other. Only because I don’t know how difficult this task could be. On one hand, helping each other would add more drama because there’s always the possibility that the helped team may overtake the one who helped them and win. Then there’s the team that did it on their own, but still made it to the Finish Line either in a comeback victory or a blowout loss. At the same time, I don’t want one clever team to just run away with it right at the start if this task ends up too tricky. Should be interesting to see play out. So thinking about what could possibly be done in Tuguegarao, I thought of doing something at the capitol. I remembered kalesas are widely used in the city still, so hey, why not a simple assemble and DELIVER!!!! task here. This ends up being a good physical task (in the Tuguegarao heat!) to contrast the two big thinking tasks. Next up, again, I’d merely seen carabaos crossing the road, so why not have teams do that too. And finally, the Double Road Block. I feel like this is a huge undertaking. But it would be an absolutely stunning Final Task. It does require closing one lane of Buntun Bridge and that would surely cause as much chaos to area traffic as Chris Christie and Bridgegate. But this is TARPHDME! Anything is possible! Instead of just recycling TAR13’s task as it is, I thought why not add in the rapelling and the gameboard, slightly larger, hanging from the bridge. It won’t be so big that other teams will be able to see your pictures up on the board. So no chance of just copying. But of course there’s still the need for teams to run around the clueboxes to find the right pictures. And that’s in addition to figuring out the requirements which is very similar to TARPHDM1’s final memory task as well, which was in turn inspired by TAR12’s infamous Final Road Block. I hope these requirements are tricky enough. Of course, there’s several tasks that fill each requirement (DELIVERY! DELIVERY!! DELIVERY!!!). But there will only be one correct list of solutions. This is a pic from 2012. It’s been spruced up since then. The highlights of this Leg should be the two thinking tasks though. Both look amazing on paper. And overall, this should be a challenging Leg worthy of a returning Racers season. For this season overall, I think I maybe got a little lazy with all the delivery tasks. It would’ve been okay if all those deliveries came back to be an important part of this Final Leg. At least, more than just those mentions in the Double Road Block. A more creative task may be out there somewhere in which we incorporate all the deliveries teams made this season. 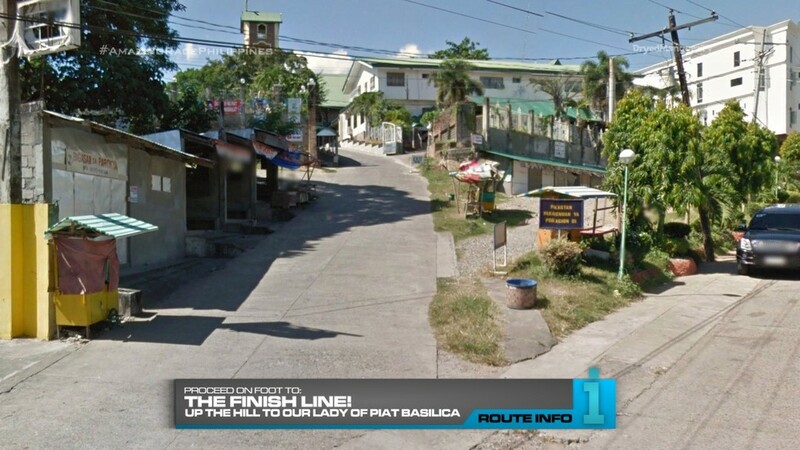 And so that brings us to the end of The Amazing Race Philippines: Redemption (DryedMangoez Edition Season 12). Season 13 is coming up at the end of January 2017. And it’s going to have a HUGE, SHOCKING twist! Six brand-new Filipino teams will be racing against… SIX INTERNATIONAL ALL-STARS!!! What?!?! The Amazing Race Philippines vs. The World Premieres Friday, January 20, 2017! Of course, exclusively on DryedMangoez.com! ← Recap: Kamen Rider Ex-Aid, Episode 9 – Beat Up the Dragon!